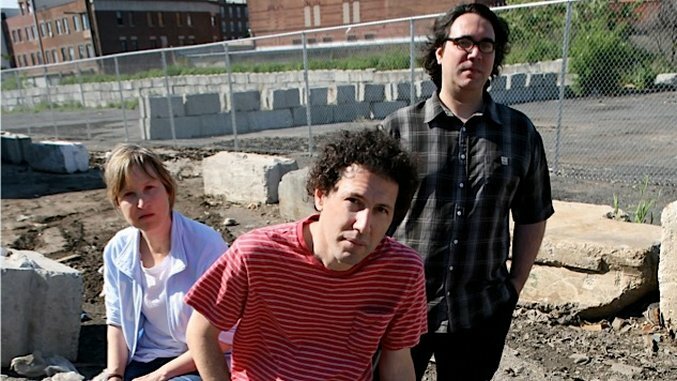 Just over three years ago, I wrote about Yo La Tengo’s 20 best songs. (For accuracy’s sake it could’ve been called “one man’s 20 favorite Yo La Tengo songs,” but that wouldn’t work as well on Google.) With the release of the band’s 15th album, There’s a Riot Going On, last week, the time was right to reappraise the trio’s discography and see what 20 songs would make it onto such a list in 2018. There was a problem, though: That top 20 is exactly the same as it was in 2014. There’s a Riot Going On is a good one, but so far none of its songs have bumped off any of my absolute favorites. That’d be a tall order for any band. So here’s what Paste decided to do. Instead of reconstructing my top 20 list, I’ve expanded it to a top 40, spanning the entirety of Yo La Tengo’s 30-plus-year career. If you want, feel free to imagine Casey Kasem’s unforgettable voice counting down each song as you read through this thing, in what would’ve been the best episode of American Top 40 ever. And yeah, go ahead and listen along, if you’d like; I did while I was writing this. And if you’re somehow wondering who these Yo La Tengo cats are in the first place, well, they’re a rock band—a really good rock band. The husband-wife team of guitarist Ira Kaplan and drummer Georgia Hubley started the band in Hoboken in 1984, and released four albums with a variety of partners and sidemen and on a handful of labels before incorporating bassist James McNew on the 1992 full-length May I Sing With Me. The next year they released their breakout record Painful on Matador, a partnership that endures to this day. In the original version of this list I wrote that Painful is where their “disparate influences congealed into a fully formed style of the band’s own, from early ‘60s folk and pop to the post-Velvets diaspora of noise and punk,” and that’s still a good summation. They’re about as likely to play a three-minute pop gem as they are a forlorn folk song, a 10-minute one-note drone, a cover of a classic hit from the ‘70s, or a crazed, 20-minute noise jam. And they do it all with the same level of proficiency, confidence and humility. Again, they’re a really good rock band, and these are their 40 best songs. Yo La Tengo have a lot of quiet songs. They have a lot of songs that sound like improvisational jams. They don’t have a lot of songs that do both, and the best one in that small subset is this song from Electr-O-Pura. James McNew’s bass and Georgia Hubley’s drums are admirably patient, settling into a hushed, one-note groove while Ira Kaplan plays a gossamer guitar figure and sings in a near whisper. Occasionally Kaplan hits a discordant note, or lets out a guitar squeal, or otherwise adds an unexpected bit of emphasis to what he’s playing. After two minutes and change, McNew finally hits a second note, and then a third, and you realize this song actually has parts. Kaplan’s guitar eventually gets louder and more erratic, colliding with the rhythm at odd angles and in clusters of notes that sound like they’re collapsing. Hubley’s steady beat keeps the whole thing together. The first few times you hear it you may not even register it as a pop song, but it’s a brilliantly fractured take on the kind of restrained, earnest, fundamentally mature-sounding love song that Yo La Tengo have explored many times. Summer Sun is a bit of a letdown from the great run of albums the band put out throughout the ‘90s, but it has a few highlights. The best of them is “Little Eyes,” one of the few songs to break through the bland uniformity of the record’s production. On an album heavy with drum machines and a watery, gurgling sound that floods out every track, “Little Eyes” is almost a straight-up rocker, with live drums and a chugging bass cutting through the glacial sheen of Kaplan’s guitar shimmer. Their newest record was mostly created in the studio, with the band jamming extensively and then whittling that work down into semi-recognizable songs. Its tone and production resembles Summer Sun, but with more of a spark to it—instead of feeling overproduced and relatively listless, as that album did, it’s endearingly and quizzically shaggy, proudly wearing its improvisational inspiration on its sleeve. It’s the kind of slow-burn grower where the songs I love most today, at release, could very easily not be the songs I love most months or years from now. At the moment “For You Too” has made the best impression; sure, it’s the closest to a conventional pop song on the record, but like “Little Eyes,” it brings a sense of structure and motion to a record that otherwise threatens to drift away. The droning first song on Fade piles three-way harmonies, assorted guitar crust and pop song doot-doot-doots over a one-chord chugger driven by Hubley’s simple beat. About halfway through its seven or so minutes, Kaplan unleashes another one of his splattering guitar solos, and although it’s no less unhinged that what you expect from him, it stays fully alongside the song’s deliberate groove, which makes it notably slower than his typical skull-bursting solos. “Ohm” is a great example of picking an idea and plowing through it until you’ve exhausted all of its possibilities. Is this where Yo La Tengo realized how beautiful Georgia Hubley’s voice can be? This early song is a catchy folk tune with pop hooks (think brushed drums and an acoustic guitar playing an ascending three-note major chord riff) and Dylan-esque vocals from Kaplan. But what makes it great is Hubley’s background vocals. They’re mostly just wordless ahhhhs, but it’s a crucial element that elevates the whole song and also points to what will become one of the band’s most defining sounds. This McNew-sung number bears a sonic similarity to Pet Sounds. It’s more than just the presence of strings and horns—it’s McNew’s voice, the echo of the drums, that combination of wide-eyed positivity and silent, internal sadness. No other Yo La Tengo song quite sounds like this one, making it a standout on what was already their most musically diverse album. May I Sing With Me is a transitional record in the band’s discography. They had experimented with noise in the past, but this was the album where they truly started to integrate their folk tendencies with their noise explorations. But we’re talking about one song here, not the whole album, and “Detouring America With Horns,” the first song on the record, didn’t necessarily let the listener know what was in store for them. It starts with a lengthy instrumental intro that isn’t far removed from R.E.M. before coasting into a uptempo pop song built around a tunefully overdriven guitar riff and Hubley’s hushed vocals, which are buried in the mix. It’s melodic yet noisy and one of the first Yo La Tengo songs that sounds fully like the band that released albums like Painful and I Can Hear the Heart Beating as One. You know those songs that sound so sad that they pretty much always make you sad, but are so beautiful and moving that you still can’t stop listening to them? Here’s one of them. It sounds a bit like the somber, ghostly folk music of Jackson C. Frank, but with some muted organ drones and high bass notes keeping it aloft. The bad vibes are heavy on this 1993 single, which features a doom-laden, wayward riff from overdriven bass and guitar, occasional backward guitar flourishes, a drum beat that seems to be building to nothing in particular, and an out-of-nowhere outro that ends as abruptly as it starts. And Then Nothing Turned Itself Inside-Out can seem like a downer at first—other than “Teenage Riot” sound-alike “Cherry Chapstick,” it’s an album full of quiet, understated, bittersweet love songs. “Let’s Save Tony Orlando’s House” (named after a Simpsons joke) is one of the exceptions. It’s a jaunty little number built around multiple organ lines, a dance beat and unusually upbeat vocals from Hubley.